A very warm welcome to the Rathgar Junior School website. 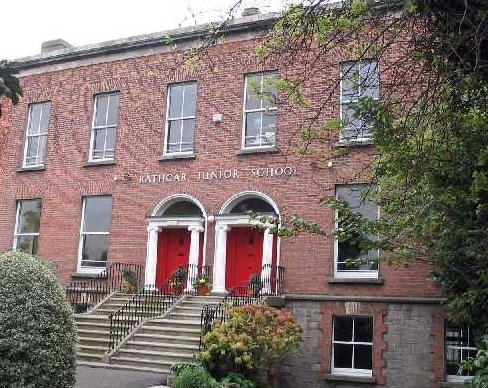 Rathgar Junior School believes that at its heart lie the children: they breathe life into the building every day. The staff strive to create an atmosphere of love and caring, where school is a happy experience for the children and where the basic principles of respect, honesty, forgiveness and consideration for others and their property are central. It is a community where children’s physical and intellectual powers are developed, giving them a desire for knowledge through arousing their interest and helping them find pleasure in work itself. RJS is an independent school which teaches the National Curriculum. It has eight classes from Kindergarten A (Junior Infants) through to Form 6. RJS is a fee-paying school and receives no financial support from the Department of Education. The school is a member of the Association of Independent Junior Schools. The school occupies two houses, 62 and 63 Grosvenor Road, with classes limited to 23 pupils per year. The school is managed by the Principal, supported by a Committee made up of members of the Religious Society of Friends (Quakers) and parents.